This post is for Alisha at The Bubbly Blonde. I probably don't blog enough. This week has been hectic, to say the least. I love, love, love reading everyone else's blogs. I love to tell stories and talk, so why aren't I blogging more? So, thanks, Alisha. I believe I will! As you so succintly put it, no one has to read my blog if they don't like it, right? I've been fighting off the crud since the week before Thanksgiving, so I haven't taken pictures and posted as I should. Please forgive me, peeps. I truly love blogging. I always have something to say and try to be consistent about commenting on posts. I love the freebies people share...and have great plans to learn to make games, etc. for sharing. Soon, very soon! I must say that until Christmas break, I don't relax. To my way of thinking, second graders really "show up" and "show off" after Christmas. They're just so young before Christmas. I guess my favorite age to teach would be the second half of second grade and the first half of third. Maybe next year I'll figure out the magic ingredient...maybe not, though. I must brag on the Volume Control Levels poster and the Clip Chart, too. 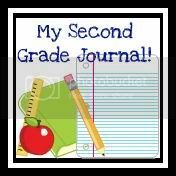 My life as a second grade teacher has been much easier this year because of those two things I found blogging. 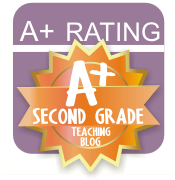 Blogging has also provided me with hours and hours of activities for my students' further practice of concepts we're learning. Hallelujah! 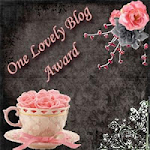 My bloggy friends are the BEST! There are days (okay, weeks and maybe a month or two) that I haven't posted. I just didn't think anything was fabulous to share. I can share this...(no pictures, yet--I'll add those after I go to school and take some tomorrow)...we built robots this week. Yep, robots! Our students brought in boxes of all shapes and sizes, paper towel cylinders, cups, water/drink bottles, etc. We used this as a midway springboard exercise to get our children thinking about edges, faces, and vertices. We make shape mobiles each year with the shapes from the Accu-Cut that must be folded and glued together. This year we added robots made of various boxes. You should see some of the cuties! Students were asked to discuss with a partner the number of edges, faces, vertices, and even shapes their robot contained. WARNING: recruit parents to come and spend the day helping glue! We used 3" masking tape, elmer's glue, and hot glue. That's why you need parents! Our principal wanted to spend the day in each grade. She came to our class to help glue robots. She loved it and my students were thrilled to have her attention directed specifically toward our class for the entire hour! They loved, loved, loved having her with us! We had a mom come help finish up the last few today (thanks, Mrs. Mathis!). I am sooo thankful they went home today! Boxes, boxes, everywhere! Am I whining? NAH! Just glad it's over! We start fractions next week and we are going to hit dictionary, thesaurus, and glossary use hard next week as well. We're also pushing those silent sounds (mb, kn, dje, etc. 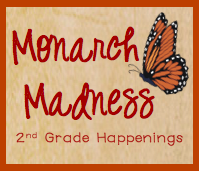 ... thanks to Hope at 2nd Grade Shenanigans for Second Grade Word Work! It is awesome! I found this over the Christmas break, so I am pulling out what works best for the remainder of this. I will follow the schedule next year from the beginning because I believe it ROCKS right along with my reading instruction! MARVELOUS job, Hope! :) Thanks a million! I am so happy I just found your blog! I am a new follower. I, too, at times feel as if I don't have something worthy to blog about and have had a person I work with make a mean remark about my blog. I then remember that in the end what matters is what I do with my kiddos. Just feeling this way today! Glad you blogged anyway it's inspiring! You always have something worthy to say because your a teacher and that's why we follow! I love reading your writing! Keep on sharing! I read her post and was so bummed that someone would say that to her! Keep blogging, girl, we love ya! Aww, thanks so much for posting this! Love it! I also sometimes think I have nothing *great* to share, yet know someone will at least get something outta my little activity or what not. That lady sure did not have the nerve to comment on my post to her:). Just really irked me!